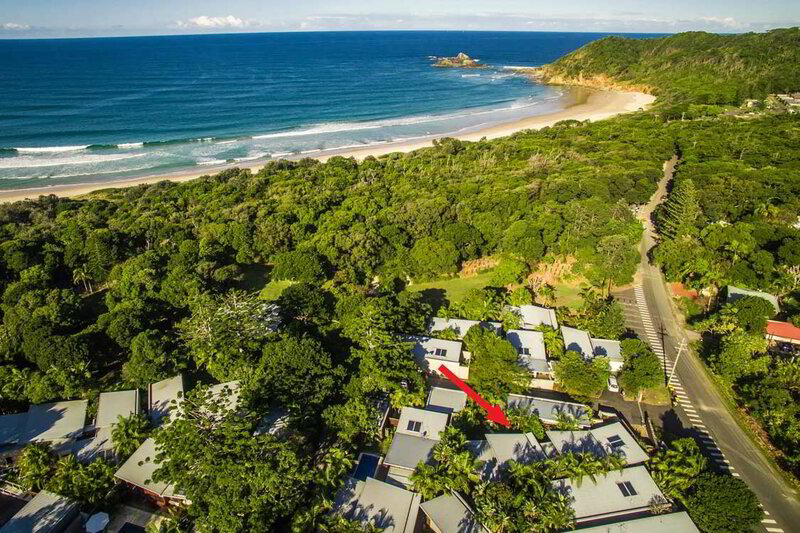 If you are looking for luxury Byron Bay accommodation suitable for your immediate family, to share with your extended family or even another couple or friends, Pavilion 2 at Broken Head is a perfect option for your next holiday. 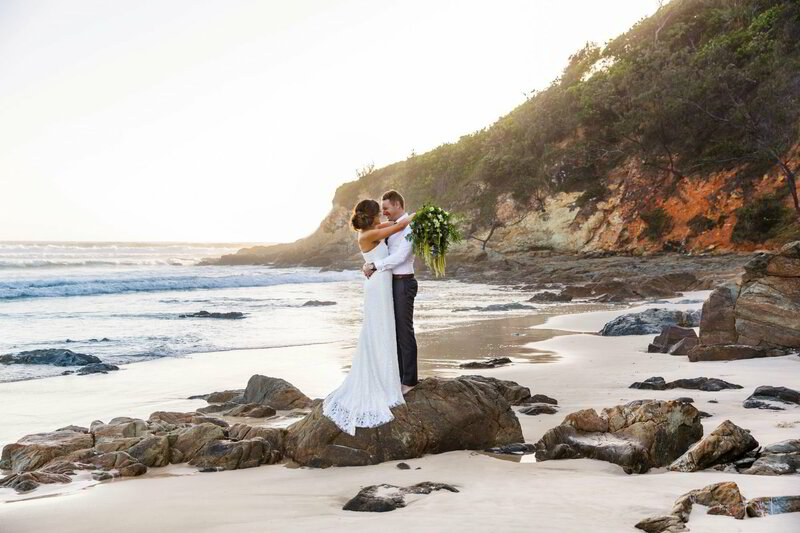 Choose any time from sunrise to sunset for your wedding ceremony on the beach then walk back up the path through the beachfront rainforest to your intimate reception at Pavilion 2. 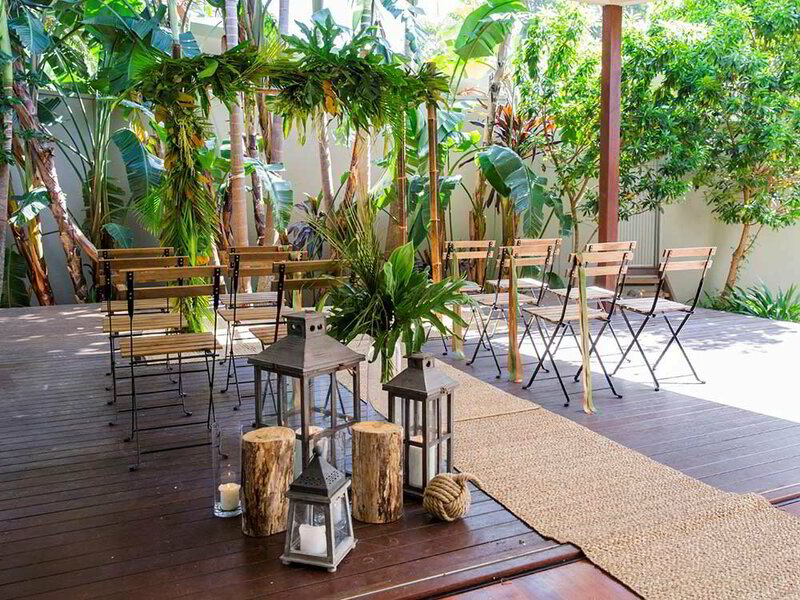 Pavilion 2 is the perfect place to host your next corporate event in Byron Bay. Escape from the pressures and stress of city life to an idyllic and relaxing location, perfect for team-building, conferences or meetings. Listen to the sound of the surf and smell the salt as you hideaway in the sand dunes or in the privacy of your own home. The house consists of a series of inter-connected open-plan pavilions incorporating extensive living areas, a pool and decks and set amongst a lush rainforest-inspired and private Australian native garden. Successfully blending the inside with the outside, there is extensive use of timber, stone and glass. This mixed with the interior palette of creams, whites and earthy pastels creates an idyllic luxury atmosphere that integrates seamlessly with the natural environment.